I guess this is an all about Dior week so far. The next amazing product from them is the DiorShow Maximizer. This is an eyelash primer with many uses and benefits to it. I started using it and in a few days I could tell my lashes were healthier and a bit longer. The best way to see results in your lashes from using this is to not only use it during the day under your mascara but to also wear it at night. The nice thing about it is that it dries pretty much clear so you don’t freak yourself out when you wake up in the morning and look in the mirror. You can also put it on your brows to help with growth, if you want your brows to grow a bit thicker or longer, it will help a bit. This product can also be used to increase the volume of your lashes. When you put it on let it sit a second and then check your lashes out and see if they are at the thickness you are looking for; if they aren’t then add another coat. Then apply your choice of mascara, which leads me into another awesome perk of this product…you can use it with any brand of mascara. Most primers I have tried seem to only work the best when you use mascara from the same brand otherwise you may experience flaking throughout the day. 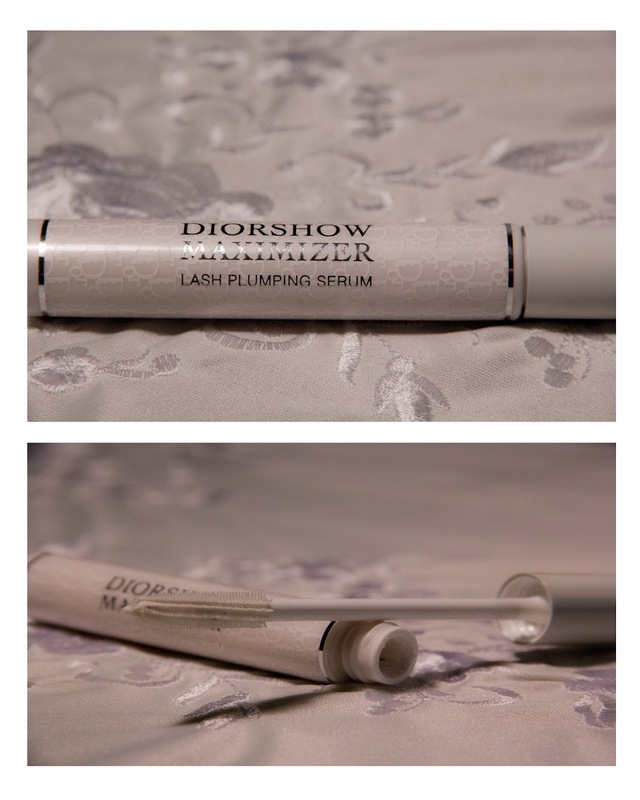 I tried this primer with another luxury brand mascara as well as a drugstore brand mascara and guess what! No flaking! It almost actually makes the mascara a bit waterproof because at the end of the day I have to take it off with an oil-based eye-makeup remover (in another post I will fill you in on the best ones). So by now you are probably running out the door to go get yourself hooked on this product. But wait there is more! I saved the best for last…I just tested and was confirmed correct that this product can also be used as an eyeshadow primer! I know you are thinking what is this girl talking about. 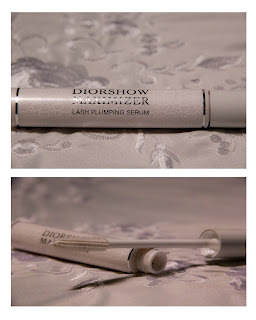 Well I was analyzing the Dior products and which makeup must-haves that they had and which they didn’t, a primer was one that I didn’t really think they had a great one. So I thought to myself, if the Maximizer helps my mascara stay on and not flake, then couldn’t it do the same thing for my eyeshadow? And I figured that since it was safe to use on your lashes which are very close to your eyes, then it should be safe to use on your eyelids. So I tried it out for a week; I used it with Forever 21 eyeshadows, Dior eyeshadows, Lancôme eyeshadows and Inglot eyeshadows. And at the end of each day there was no creasing! So there you are, a product with so many benefits and uses that it would be a smart decision if you went out and got yourself this amazing product right now. You can order it online from www.dior.com or stop by your closest Dior counter.